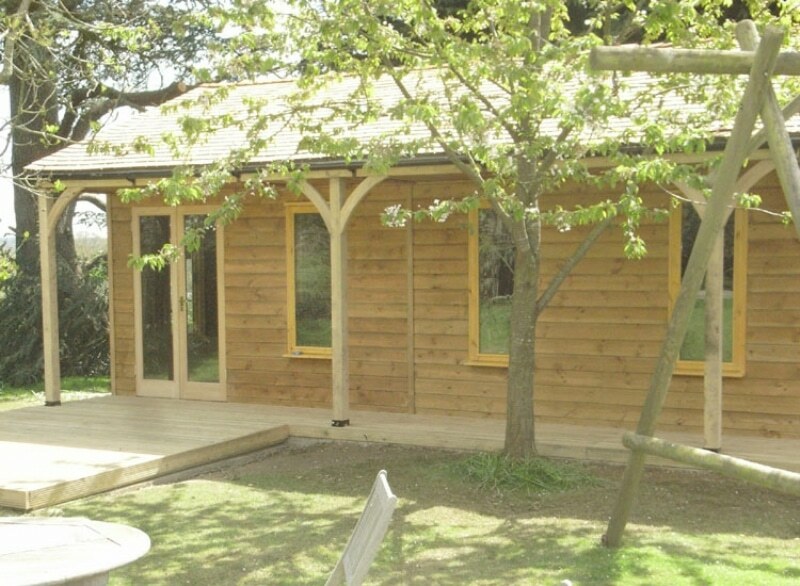 This garden building is 10m x 4.5m with a 1m front overhang. This client wanted as much light as possible inside and chose the long windows and fully glazed double doors. We also supplied and installed the decking underneath the overhang and in front of the doors. Inside we installed a timber floor throughout. The roof is Timber Cedar shingle, again, supplied and installed by ourselves.